Scandinavian Journal of Work, Environment & Health - Shift work and cardiovascular disease – do the new studies add to our knowledge? The association of shift work with cardiovascular disease (CVD) has been studied for decades with new systematic reviews repeatedly being published (1–4). Based on 34 studies and over 2 million employees, the systematic review of Vyas et al (4) concluded a few years ago that shift work was associated with incident myocardial infarction, with a risk ratio of 1.23 [95% confidence interval (CI) 1.15–1.31]. In this issue, a new systematic review and meta-analysis on shift work and the risk of CVD is published. Based on 21 studies, including 10 new ones since the publication of Vyas et al (4), Torquati and colleagues (3) found that shift work was associated with coronary heart disease (CHD) morbidity with a pooled risk ratio of 1.26 (95% CI 1.10–1.43) and about 20% increased risk of death from CHD or CVD. The study also reports that risk of CVD events increased by 7.1% for every five years of exposure. Even though the classical study of Knutsson et al (5) showed that CVD increases with exposure up to 20 years, the exposure–response estimate based on the meta-analysis is novel. With the increasing number of original studies and systematic reviews over the years, our knowledge on the association between shift work and CVD should be growing. However, new studies often have old quality problems. Without improvement in quality, new studies may not sufficiently add to the knowledge base. Information and selection bias, insufficient or incorrect control of confounding, and imprecise exposure information have often been common challenges in studies of shift work and CVD (1, 2). Thus, we ask whether the quality of new studies reviewed by Torquati et al (3) has improved? And if not, how should future shift work and CVD studies be designed to overcome methodological challenges? Earlier studies on shift work and CVD have discussed the possible role of selection, primarily as a source of negative bias, indicating that many may underestimate the true risk. A “healthy shift worker effect” may rise if mainly healthy employees are selected into shift work, for instance based on pre-employment screening or selection out of shift work due to insomnia or other health problems. Both options are possible since health check-ups and regulations for transfer to day work in cases of recognized health problems are included in current legislation in many countries. Since the association between shift work and chronic diseases like CVD and breast cancer attenuates after cessation of exposure (6, 7), restricting study populations to elderly cohorts of former shift workers – who have not been exposed for years – may overlook real associations. The recent Million Women Study (8), which found no association between shift work and cancer, included subjects of very advanced age. Starting follow-up at an older age may have resulted in the inclusion of more participants less susceptible to the effects of night shift work (7, 9). Furthermore, old age is associated with the accumulation of competing risk factors, diminishing the relative role of shift work compared to the other factors (10). In the current review, different risks of bias were systematically examined across all individual studies by a validated tool (11). Attrition was not possible to assess in 13 of the 21 published studies, and 1 had clearly a high attrition. If attrition was linked to the full cessation of exposure follow-up in some of the studies, we may have a negative bias of unknown magnitude in some of the published studies. Already 20 years ago, Bøggild & Knutsson (1) suggested in their review of shift work and CVD that “different shift schedules should be distinguished to identify which type of shift schedule confers the smallest risk”. Torquati et al (3) studied the quality of exposure assessment of the individual studies by analyzing whether information on duration of exposure as well as shift intensity was available, as requested for instance by the International Agency for Research on Cancer (IARC) working group report on shift work and cancer studies (12). Torquati et al (3) also investigated the possible use of objective exposure information (payroll or other employer registers or diary data of working hours) of the published studies. Of 21 studies, 8 had additional information on the different elements of shift work exposure and only 4 could provide objective data on shift work exposure. The lack of life-time information on shift work could bias the evaluation of shift work health effects since this may mean that risks of long-term or early shift work exposure is overlooked. In addition, it is common that many day workers are exposed to shift work in the beginning of their career (13); thus, lack of information of earlier exposure attenuates the observed risk estimates. The use of objective registry-based shift work and health data has several benefits: it provides precise information on exposure less affected by information bias as well as outcome data less affected by attrition since data can be retrieved for all employees (14). However, the main limitations relate to the possibility of accessing company records on longer periods of exposure in addition to obtaining information on exposure outside the main occupation. Based on Torquati et al (3), all the 21 analyzed studies adjusted for age, body mass index, ethnicity, and socioeconomic status. However, besides increased energy intake (15) and weight gain (16), shift work disturbs sleep and may increase smoking (4). Adjustment for smoking may thus hide a true effect of shift work on smoking-related diseases. A recent study indicated that shift workers had similar leisure-time physical activity patterns as day workers but were more sedentary at work (17). As the authors note, in order to disentangle effect mediation from true confounding, we would need information on these factors not only during the pre-employment period but also repeatedly during and after exposure to shift work. In their sensitivity analysis, Torquati et al (3) investigated how various sources of potential bias influenced the observed overall risks. Studies were classified as having low, intermediate, or high risk of bias from either unreliable exposure assessment, insufficient adjustment for confounders, analytical methods, blinding of assessors, attrition, selective reporting, or funding. Rather surprisingly, the overall degree of bias had no strong influence on the magnitude of the reported risks, indicating that methodological shortcomings of the studied bias types may not explain the positive overall findings. However, this may not be the case for the reported positive dose–response relationship with duration of shift work. Of the five studies included in the analysis, three showed increasing risk with duration of shift work (18–20), while two showed no such trend (21, 22). The first three studies all relied on self-reported exposure and outcome information that was not blinded to exposure status, while the latter two relied on register information on exposure as well as outcome. For the other eight risk of bias parameters, all five studies were assessed as being equal. This actually questions the reliability of the reported 7.1% increasing relative risk per five years of shift work, which may be affected by recall bias and stresses the need for analyses based on objective exposure as well as objective outcome data (23, 24). In conclusion, the present review of Torquati et al (3) shows that even if the number of new publications on shift work and cardiovascular health increases, many of the new studies still include the well-known old sources of bias. Some light is seen in the acknowledgement of the need for better exposure assessment of shift work. The new case–control studies of shift work and breast cancer used interviews to get more precise and relevant information on exposure to night and shift work (7). However, the use of electronic records of working hours would be most optimal. For the cohort studies, we would need to combine the precise information on exposure to shift work with longer and more systematic follow-up.  With objective information on shift characteristics, which are robust to differential recall, it may be possible to provide acceptable safety limits for the number of annual or consecutive night shifts for different exposure times and/or risk groups. Therefore, future etiological studies and research into the prevention of CVD risks in shift work needs to be based on the principle of obtaining precise and repeated information on exposure to shift work combined with long registry follow-up and repeated information on confounders and possible mediators.